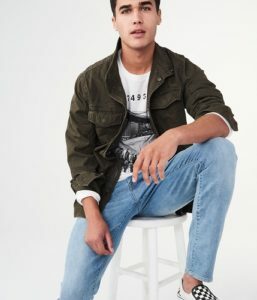 BOGO Free Aeropostale Jeans + EXTRA 14% Off! 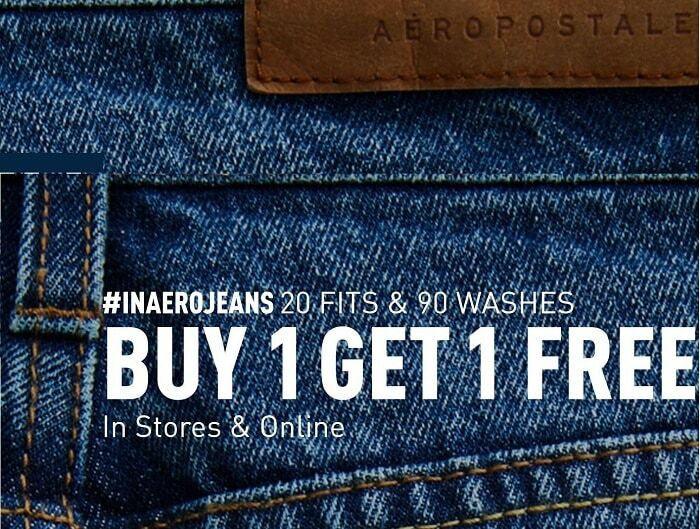 Ending today, Wednesday, Feb 13, Aeropostale is having a BOGO Free Jean Sale on dozens of styles for men, women, and teens! Just add multiples of two pairs to your cart, and one will be free. You can mix and match styles! And it gets better! Get an EXTRA 14% off ONLINE ONLY when you use the code EXTRA14 at checkout! There are some exclusions, so watch for jeans and other sale items marked 14% Off With Code: EXTRA14. Hurry over Here for this and more sales! Don’t forget to use the code EXTRA14 when you checkout! Shipping is free with orders of $50 or more!